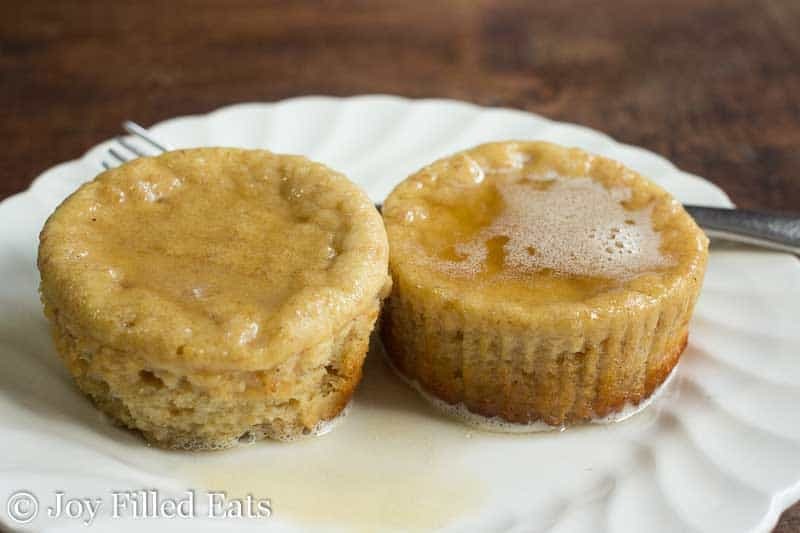 If you love pancakes in the mornings these Warm Chai Pancake Muffins are the perfect make ahead breakfast. Simply pop a couple in the microwave to warm and the glaze drips down the sides making them taste like pancakes covered with syrup. 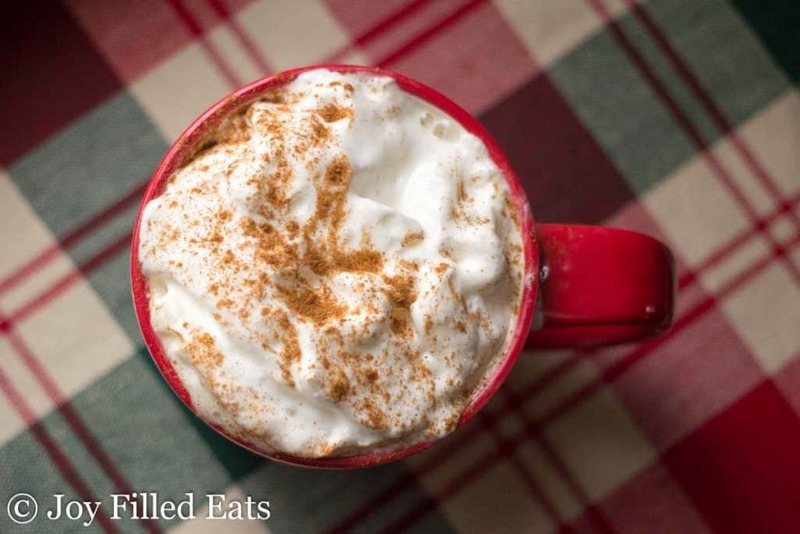 With a hint of cinnamon and the spice of red chai they are unique and delicious. I discovered Teeccino’s products a few months ago. I enjoy both their herbal coffee and teas. 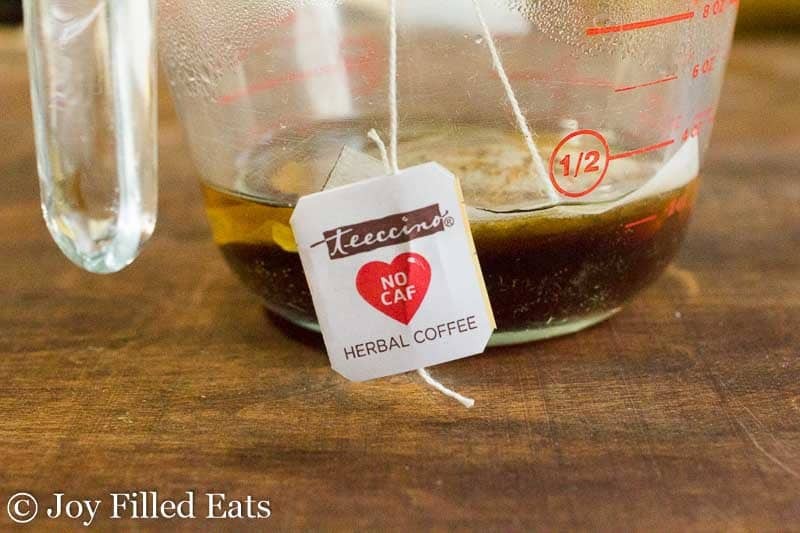 If you are interested in learning more about the benefits of switching to herbal coffee (which tastes very much like regular coffee) check out my Cinnamon Vanilla Latte post. 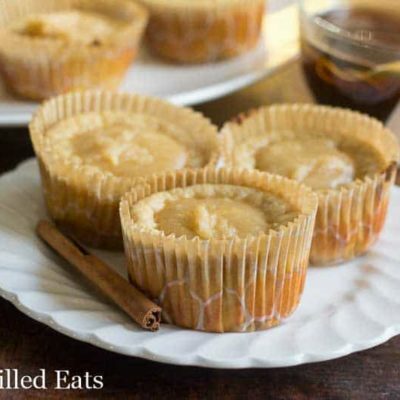 You can even make one of those to go with these Warm Chai Pancake Muffins if you prefer coffee in the mornings instead of tea. 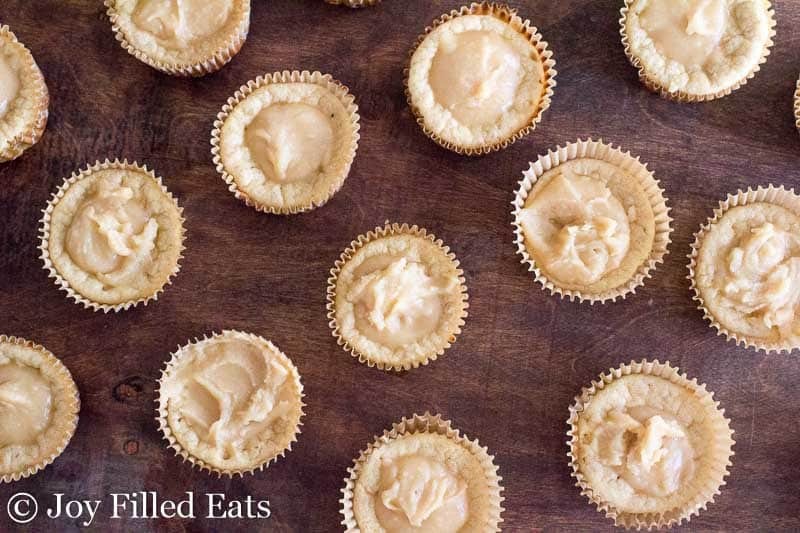 I used Teeccino Dandelion Red Chai Tea to flavor these muffins. There are many benefits to Teeccino Dandelion Red Chai Tea. It is certified gluten-free, naturally caffeine free, and acid-free. It has antioxidants from carob, dandelion roots, cinnamon, ginger, cardamom, black pepper, and cloves. These give you a natural energy boost. Teeccino Dandelion Red Chai Tea also has potassium which helps restore hydration and inulin which is a soluble fiber. To get all the benefits of Teeccino Dandelion Red Chai Tea have a cup along with your Warm Chai Pancake Muffins. They go together perfectly. Teeccino has many other varieties of tea as well. I really enjoy the Dandelion Coconut and my kids like the Dandelion Mocha Mint. Part of why I’m naming these Pancake Muffins is because I use a very similar batter to make waffles and pancakes. This is based off my very popular Cinnamon Roll Waffles. *** To brew the tea simply combine 1 tea bag with 2 oz boiling water and steep for 5 minutes. You will use half in the batter and half in the glaze. Preheat oven to 350. 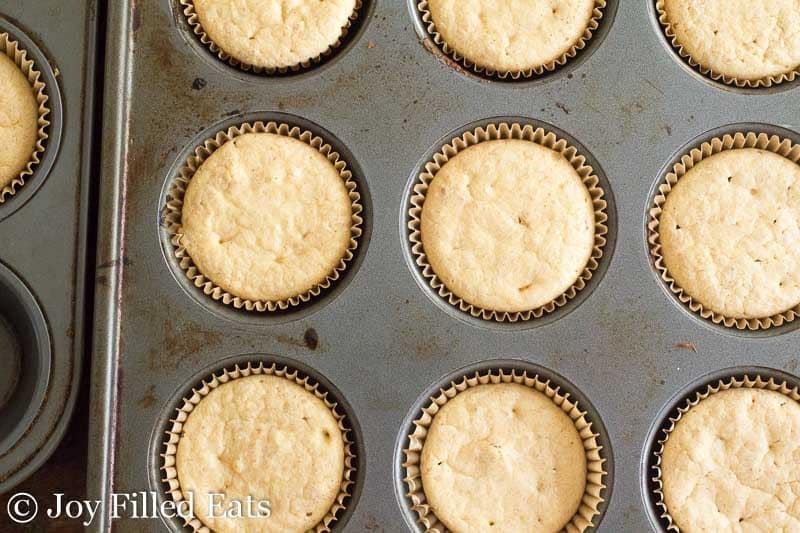 Put paper liners into 18 holes of 2 regular sized muffin tins and spray with cooking spray. Put the cottage cheese in the food processor or blender and blend until smooth. Add the cream cheese and process until smooth. Add the other ingredients and pulse until they are thoroughly incorporated. 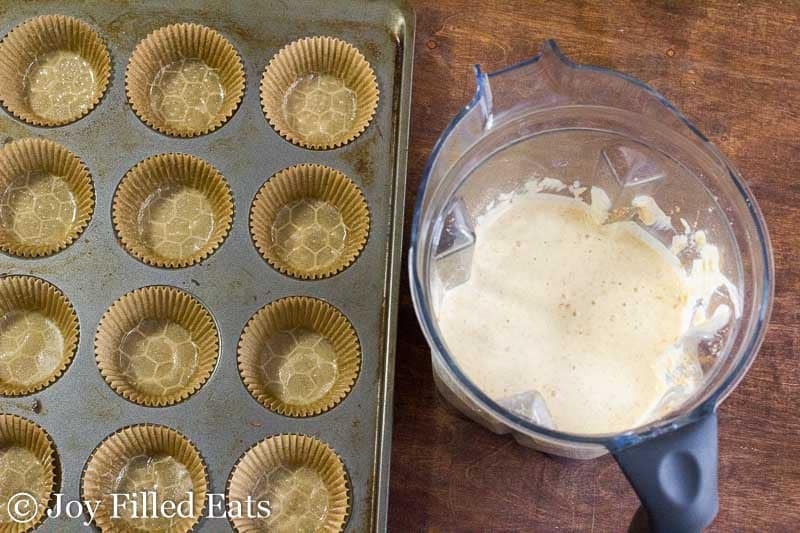 Divide the batter between the prepared muffin tins. Bake for 22-24 minutes until they are no longer jiggly and are golden brown around the edges. Let cool. The muffins will sink a little making an indent to hold the glaze. To prepare the glaze stir together the ingredients. 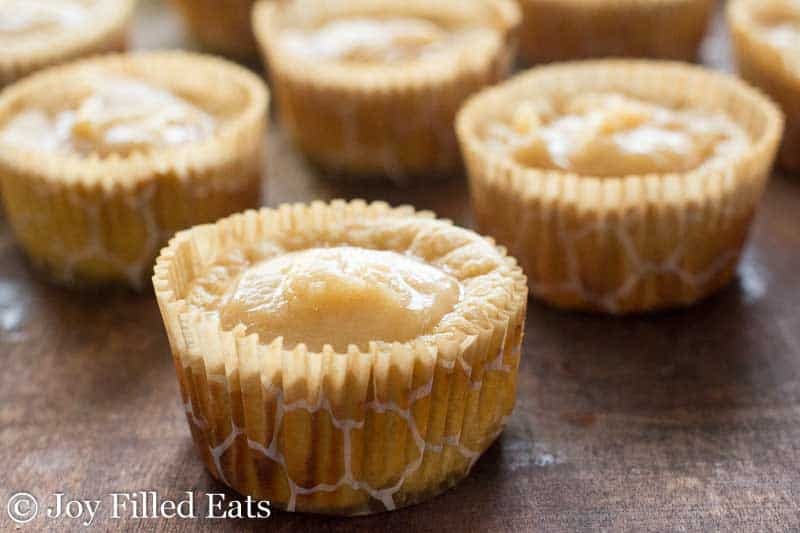 Divide the glaze between the cooled muffins. Store in the fridge. You can eat these cold or at room temperature but I prefer to microwave them for 20-30 seconds so the glaze melts and drips down the sides. It reminds me of pancake syrup on hot pancakes. 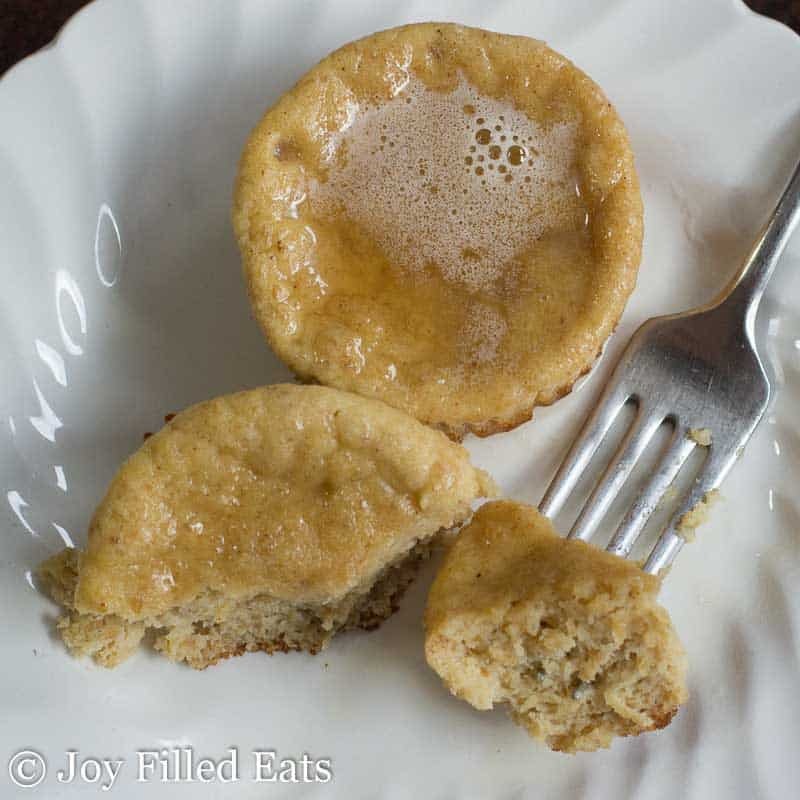 Warm Chai Pancake Muffins are a delicious make ahead and freezable breakfast! Could you swap Greek yogurt for the cottage cheese? No, I'm sorry but I don't think that swap would work. Cream cheese might work. These muffins make me hungry! They look and sound so delicious - can't wait to try them out. 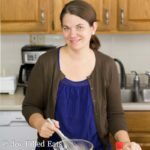 Chai Pancake Muffins? Mind blown! These look delicious, Taryn! That glaze is making my mouth water! 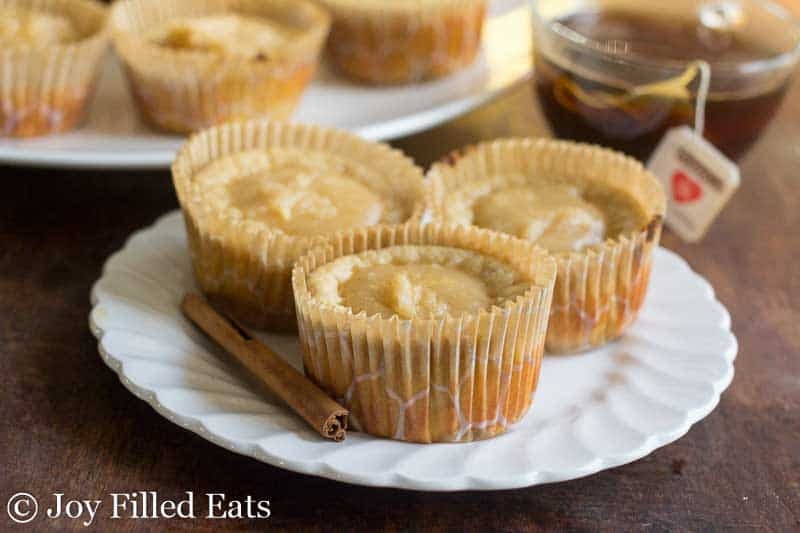 That glaze looks so perfect on your chai muffin! I love chai spices, will be trying these soon! 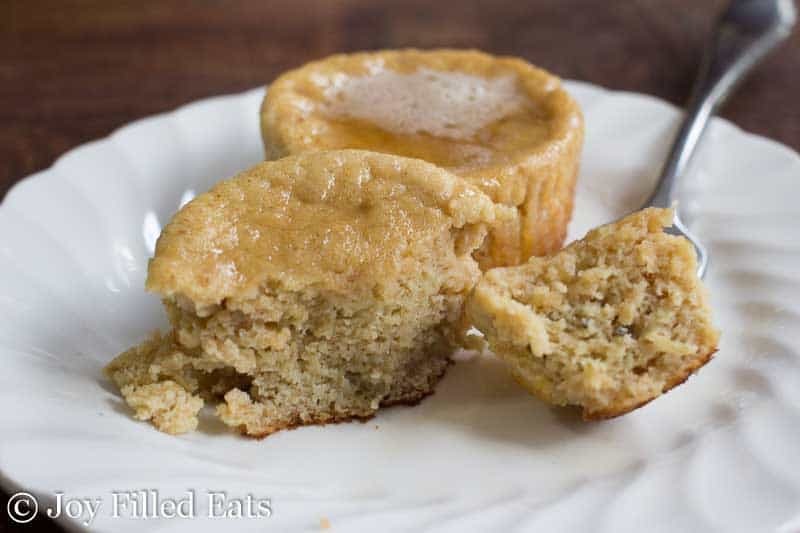 Chai Tea in a muffin? What a cool idea!